Thank you to Kris Walters from The Clothes Cabin for presenting about her organization’s mission, values and work within our community. 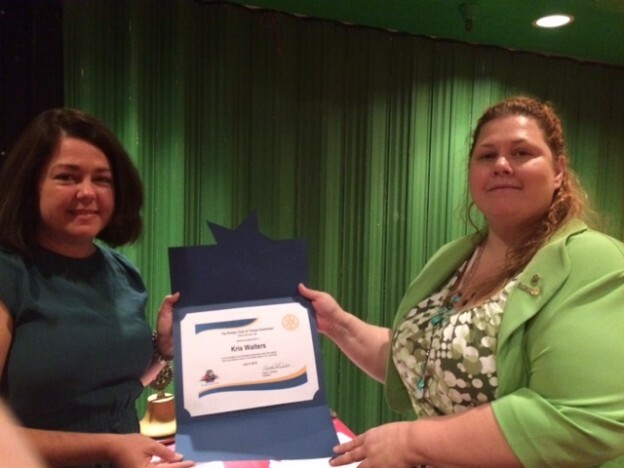 In addition to presenting, Kris also accepted a Community Partner Award from The Rotary Club of Tempe Downtown on 07/23/15. We look forward to working with The Clothes Cabin as one of our top priority organizations this Rotary year. This entry was posted in Meetings and tagged Kris Walters, Rotary Club Tempe Downtown, The Clothes Cabin on July 12, 2015 by downtown.